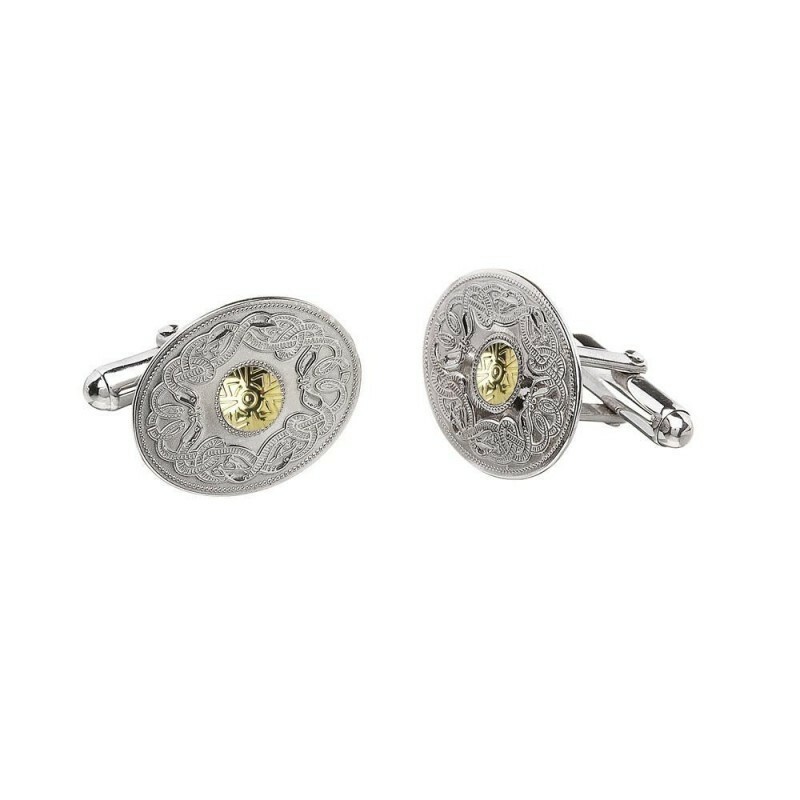 For the groom, groomsmen, the man about town, the gentleman in your life, choose these large Irish cuff links in sterling silver with 18K yellow gold bead decoration.. Handcrafted by Irish goldsmiths and assayed at Dublin Castle. Skilled goldsmiths make Boru Celtic Warrior Collection in their Dublin workshop to the highest standards and then send them to Dublin Castle where they are hallmarked. Each Disc: 20 mm x 16 mm approx.